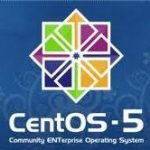 This post focus on the steps to setup a Squid Proxy Server on CentOS5.9. It’s involve basic installation and configuration of the Squid and deploy web filtering application to save bandwidth, speeding up web access. It’s uses to speeding up a web server by caching repeated requests, to caching web, name server query and other network lookups. Squid will initially act as an intermediary, simply passing the client’s request on to the server and saving a copy of the requested object. Installing Squid Proxy server is very straight forward. You only need a few minutes to make it running. Follow these steps to setup Squid proxy on CentOS 5.9.